In my last few blogposts I talked about how life working is built upon a blend of both home-based and workplace-based productivity – what I call ‘at home days’ and ‘away days’. 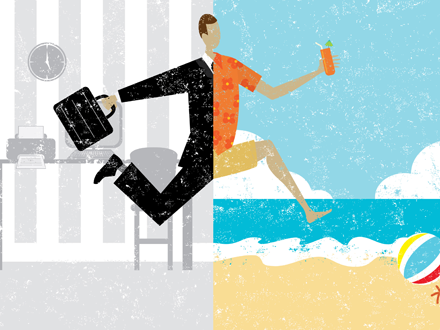 Now I would like to make what I am sure is a pretty controversial claim – we should completely rethink the way that vacation time is seen as blocks of leisure time interspersed throughout an overall productive working year. I believe that it is completely within reason that future work models could reject this approach, and that knowledge workers might be productive in a ‘seasonal’ manner – just like their agrarian ancestors. 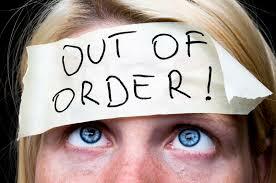 Indeed, this is the way in which many free agents, including myself, work today. For about four or five months of the year I put a lot of energy into my work, and I still try to be a good husband and father – although I am away from home a bit more than normal. But I am certainly not at my best as a sportsman as I simply do not have the time to train at a high level. In the other months of the year, the energy I put into my family, my sport and my other passions far exceeds that which goes into ‘workplace’ activities. I am sure that the mere suggestion of such an approach – workers being intensively productive for just three to six months of the year – would cause on uproar in most organizational settings. Can you imagine a salesperson at a bank or technology company reaching their annual targets within the first quarter of the year, and then the business agreeing that they could enjoy the remaining nine months in an at-home mode to focus more on family and personal passions – like studying a philosophy course, learning to scuba dive or training for a marathon? No way! The response of the organization would be that if a sales person can hit an annual target in three months, then of course the annual target should be quadrupled! Many top-performing sales people know this of course, and make sure that even if they can hit their targets in three to six months they stagger their contracts throughout the year. Or they conclude their biggest contracts at the end of the sales period. That’s right sales people – we know your game! My 40-year-old friend David lives in Belgium and is an excellent B2B salesman and a competitive cyclist. His job in selling machinery involves him meeting with clients, developing proposals and concluding large contracts. But he also has an understanding with his employer that his cycling passion is very important to him. David trains around 10 to 15 hours per week pretty much all year round, with about half of that during weekdays. In certain months of the year, such as April-May and August-September he competes a lot and ramps up his training. Naturally, these months are less productive in a commercial sense, but that is not a problem for his boss who is focused on David’s yearly output, not on obsessing that every quarter will deliver the same results. The company is proud of David’s sporting achievements, and his commercial results are also widely respected. David and I have a lot in common – and in fact he is one of my toughest competitors. The only difference is that he is employed by an organization while I am a free agent. But I would not call what David and I do work-life balance, would you? The idea of ‘balance’ presumes a constant tension – a tilting between work and non-work priorities. For the two of us, we actually experience very little tension. 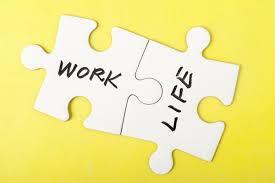 Lifeworking is more like a rotating work-life seesaw, periodically rotating and tilting between different priorities. The most important thing of course is that you are the one steering the seesaw, and this is the theme I will address in my next post.